Addis Ababa, 18 March 2016: The Chairperson of the African Union Commission, H.E. Dr. Nkosazana Dlamini Zuma, has appointed Lieutenant Colonel (rtd) Larry Gbevlo-Lartey, from Ghana, as her Special Representative in charge of Counter?Terrorism Cooperation and, concurrently, as the Director of the Algiers?based African Centre for the Study and Research on Terrorism (ACSRT). 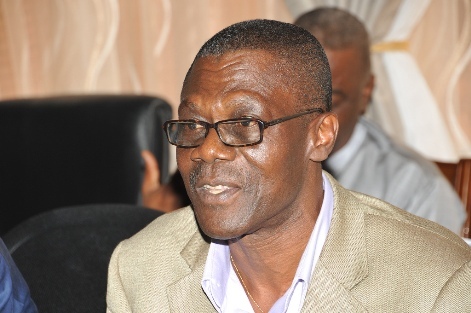 Mr. Gbevlo-Lartey brings extensive professional experience in the military and intelligence field, and has served as National Security Coordinator for the Republic of Ghana. He has also been Director of Programs at the Centre for Conflict resolution in Ghana. He also served as UN Consultant-Coordinator with the UN Mission to the Cameroon-Nigeria joint Commission, the UN Military Observer in the UN Mission in the Democratic Republic of the Congo (MONUC), Senior Military Observer with the United Nations peacekeeping force in Croatia and in Bosnia and Herzegovina (UNPROFOR) and Company Commander with the United Nations Interim Force in Lebanon (UNIFIL). This appointment comes at a time when the African Union is strengthening its efforts in the prevention and combating of terrorism, in line with the Communiqué of the 455th meeting of the AU Peace and Security Council (PSC) that was held on 2nd September 2014 in Nairobi, Kenya, at the Level of Heads of State and Government. In his capacity as Special Representative of the Chairperson of the Commission, Mr. Gbevlo-Lartey will coordinate continental efforts aimed at ensuring the effective implementation of the relevant AU instruments in the prevention and combating of terrorism, including mobilization of the international community in support of Africa’s efforts in this regard. As Director of the ACRST, Mr. Gbevlo-Lartey will work towards the enhancement of the capacity of the Centre, including its human resources, as well as of its coordinating role and overall contribution to the efforts of Member States to prevent and combat terrorism. In so doing, he will build on the results achieved thus far. Lieutenant Colonel (rtd) Larry Gbevlo-Lartey was born in Ghana on 3rd June 1953. He is a holder of a Master of International Relations Degree from the University of Legon, Ghana from 1999 to 2001, Solicitor and barrister-at-law, Ghana Law School from 1995 to 1999, and Bachelor of Science in Administration from 1984 to 1987. He has also attended military courses in Ghana, the UK and India. He did Infantry Officer Carrier Courses and rose in the ranks to serve as Commander of an infantry Regiment and Directing Staff at the Senior Command and Staff College. Mr. Gbevlo-Lartey has participated in various peace missions, including with the United Nations Organization Mission in the Democratic Republic of the Congo (MONUC) from May 2002 to July 2003; the United Nations peacekeeping force in Croatia and in Bosnia and Herzegovina (UNPROFOR) and with the United Nations Interim Force in Lebanon (UNIFIL). He has been the Chief Executive Officer for KASAPA Telecom Ltd from June 2014 to date. Before then, he was the National Security Coordinator for the Republic of Ghana from 16 January 2009 to May 2014. He was also Director of Programs at the Center for Conflict Resolutions in Accra from November 2007 to 16 January 2009 – where he was an instructor on mediation/alternate dispute resolution courses. Mr. Gbevlo-Lartey has also been a private legal practitioner. Over the past years, the African Union has taken several steps to combat the scourge of terrorism that continues to plague the continent. The AU boasts of a robust counter-terrorism normative framework to facilitate cooperation and coordination among its Member States, including the Convention on the Prevention and Combating of Terrorism that adopted by the 28th Ordinary Session of the Assembly of Heads of State and Government of the Organization of the African Unity in 1999, the 2002 Plan of Action for the Convention on the Prevention and Combating of Terrorism, and the 2004 Protocol to the OAU Convention on the Prevention and Combating of Terrorism. In line with the Protocol to the 1999 Convention, the AU established, in 2004, the African Centre for the Study and Research Centre on Terrorism. 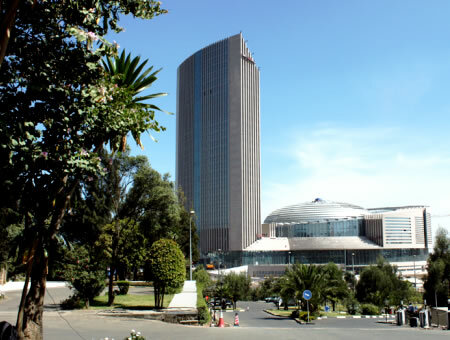 Based in Algiers, Algeria, the Centre is mandated to facilitate the implementation of the relevant AU and international instruments on terrorism and cooperation among Member States. In the discharge of its mandate, the Centre works closely with the national and regional focal points designated by AU Member States and the Regional Economic Communities, respectively. The Centre has initiated a number of steps to enhance the capacity of Member States, including through training and exchange of experiences. The Centre works closely with the United Nations and other partners, including the European Union, and aims to establish itself as a Centre of Excellence in the fight against the scourge of terrorism. It is also recalled that the AU Peace and Security Council held its 455th meeting, at the level of Heads of State and Government, in Nairobi, Kenya, on 2 September 2014 at which it considered the report of the Chairperson of the Commission on Terrorism and Violent Extremism in Africa. In the communiqué PSC/AHG/COMM. (CDLV) adopted by Council on the occasion, and while welcoming the efforts made by Member States to prevent and combat terrorism and violent extremism, including through enhanced legislation, operational capability and coordination among relevant national structures, Council expressed concern that despite the progress made in developing a comprehensive normative and operational counter-terrorism framework, serious gaps continue to exist in terms of implementation and follow-up, thus undermining the effectiveness of Africa’s response to the threat of terrorism and violent extremism. Accordingly, Council stressed the urgency for an action-oriented approach to give concrete expression to the commitments made by Member States to combat terrorism and violent extremism in all its forms and manifestations. The continent has, indeed, come a long way in advancing the AU Counter Terrorism Agenda, yet more engagement and more efforts are required from us all to deal with the pressing security situation caused by the growing threats of terrorism and transnational organized crime that feed each other and fuel other security challenges, giving rise to new security threats to which we have to adapt quickly in order to deal with the consequences. 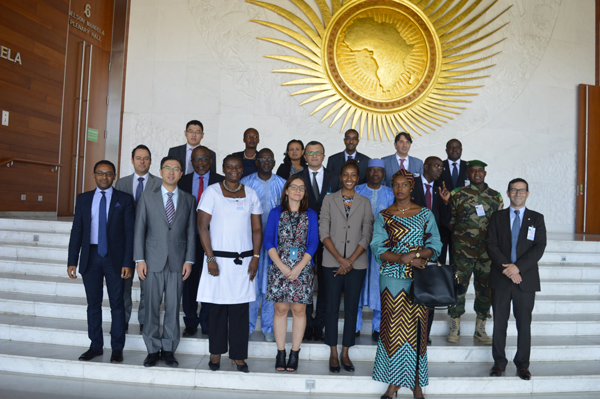 The AU will continue to strengthen its efforts to enhance cooperation among Member States, and with the international community, to achieve the aspiration of an Africa that is at peace with itself as set out in the AU’s Agenda 2063.